The Super Chili Picoso is Catalinbread’s infamous MOSFET boost. 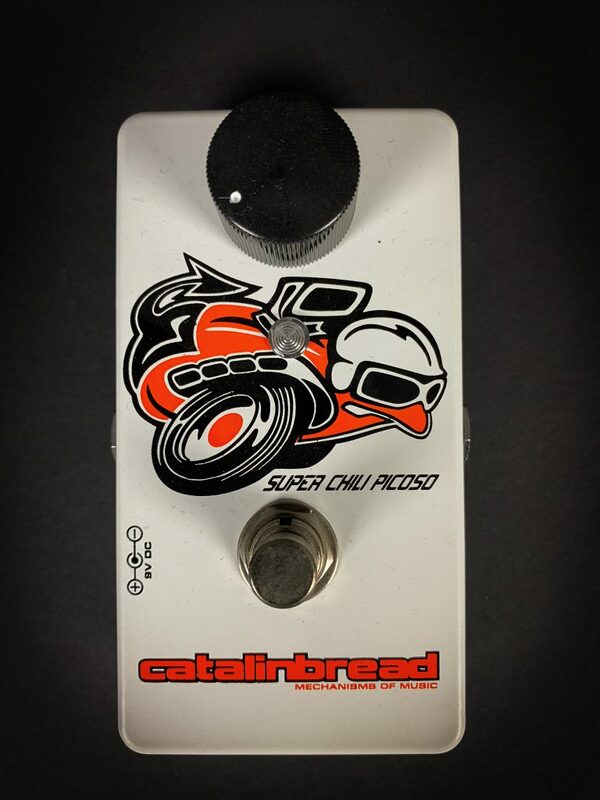 Based on the revered Jack Orman MOSFET Boost, the Catalinbread Super Chili Picoso Boost is a warm, musical boost pedal that can add more harmonics to a clean signal, stack with other drive pedals or drive a tube amp into breakup. Can add up to 35db of clean, organic boost to your signal, with a high impedance front end and low impedance output that can drive long cables and increase output to pedals, amps and anything else downstream while preserving every nuance of your tone.